"“I’ve learned to develop a business in a different culture, but also learned what it means to live in this culture.”"
Ruben Donceel’s mission consisted in starting up a new branch of Nguvu Utilities in Rwanda. The company operates in the energy sector, implementing solar installations and solar home systems for rural off-grid populations. During his first months in the country, Ruben conducted a market analysis, in preparation of a business plan that was adapted to the field. 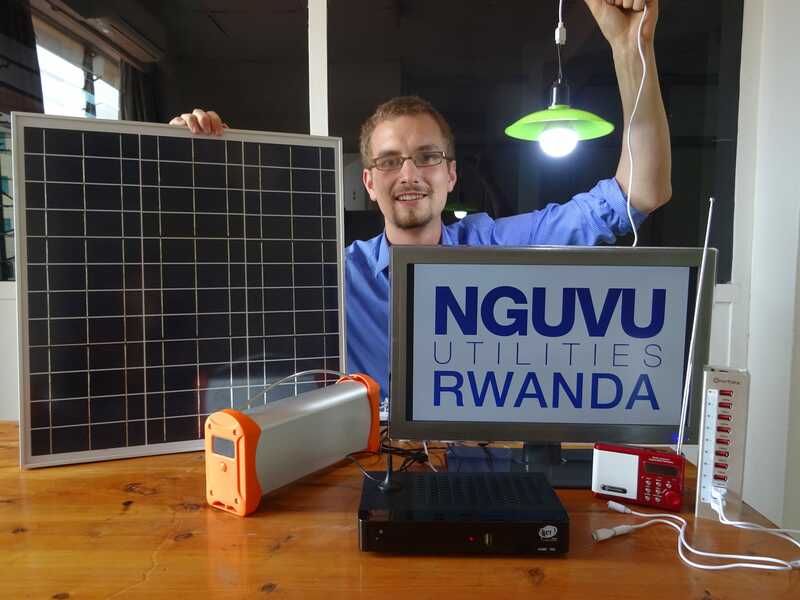 This prompted Nguvu Utilities to open a Nguvushop to sell off-grid solar equipment in Nyagartare district, a test market located in north-eastern Rwanda. Ruben was in charge of every aspect of the shop concept, including the pricing, overseeing the sales agents as well as the promotional campaigns. He also prepared the implementation of a “Pay-As-You-Go” technology, to finance the systems for the clients. a good learning experience for me.” Thanks to the Belgian financial consultant, he also learned a lot about financial management, including short-term cash planning, currency exchange risk and long-term financial plans. ForRuben, this was also a unique opportunity to place orders and arrange logistics, to get equipment that was mostly manufactured in China to Rwanda. But above all, he appreciated the Rwandan way of life, which greatly values a sense of community. Nguvu Utilities is a social enterprise that focuses on small-scale utility services in developing countries. Its objective is to improve the access to affordable and sustainable utility services for households, businesses and communities in rural and peri-urban areas. In so doing, the company wishes to contribute to the local social-economic development and improve the quality of life.